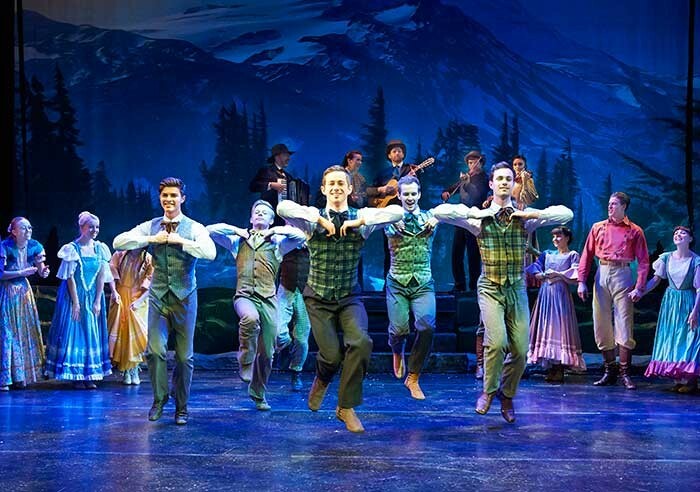 UK - Lighting designer Nick Richings has specified Showline's high-output SL PAR 150 ZOOM luminaires to create a 'jolly', bright wash for the current hit musical tour of Seven Brides for Seven Brothers. Richings - who has 25 years' experience working in theatre lighting in the West End and Broadway on hit shows including La Cage Aux Folles and Starlight Express - is utilising 36 of the SL PAR 150 ZOOM luminaires to wash the stage in the traditionally bright musical colours. "The SL PAR 150 ZOOMs have only recently come onto the market so this is the first time I have ever used them and I'm really impressed with the light output," says Richings. "The lens is great; they go nice and narrow, and they offer really good colour mixing. The warm and cool whites are also surprisingly good." "We only have a one-day get in for each of the venues on this tour, so I needed something that could be focused easily, and would be reliable and rugged," continues Richings. "The SL PAR 150 ZOOMs are doing great on all of those things." Entertainment lighting specialist, White Light, has supplied the entire touring lighting package, including the SL PAR 150 ZOOM luminaires. 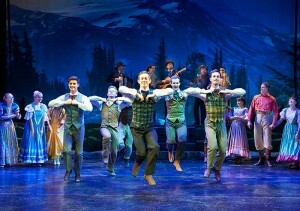 The tour visits theatres across the UK including Glasgow's King's Theatre, the Bristol Hippodrome, and the Liverpool Empire. "We really feel strongly that the Showline SL PAR 150 ZOOM luminaires are versatile enough to invest in for future stock," says White Light's hire and technical director, Dave Isherwood. 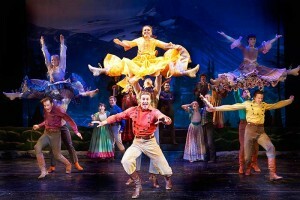 "They are competitively priced, and were readily available for the quick turnaround required for the Seven Brides for Seven Brothers tour. Once they return to our hire stock, the Showline units will offer LDs a flexible LED fixture at a reasonable cost and will be suitable across the wide spectrum of work that we service including theatre, touring shows, corporate dry hire, and events." Designed to illuminate a variety of applications, such as stages, buildings, clubs, landscapes or other entertainment and architectural elements, the SL PAR 150 ZOOM luminaire provides designers with an impressive array of uniform colour. Martin Palmer, Vari*Lite and Showline product manager for EMEA comments: "We are delighted that White Light saw fit to invest in the SL PAR 150 ZOOM. As Dave says they are incredibly robust and incredibly bright. Not only that the manual ZOOM provides a beam angle ranging from 15 to 70 degrees. This makes them an extremely flexible fixture and a natural LED replacement for conventional PAR fixtures." Seven Brides for Seven Brothers, directed and choreographed by Patti Colombo, will tour the UK until May 2014.